Collusion with ISIS; Gutman sees “a surprising pattern of seeming collaboration between the YPG, ISIS, and the Assad regime with the purpose of expelling moderate rebel forces.” He says that in case after case, ISIS gave villages and cities over to the Kurds without a fight. The YPG response to Amnesty not an investigation but a blanket rejection featuring legalistic hairsplitting. Iran’s major role in financing the Kurdistan Workers’ Party (PKK), also labeled a “false charge,” is sourced to a defected Syrian Arab intelligence official and a defected Kurdish judge and affirmed by KRG officials. Each has standing, so before dismissing them, Tax should do some checking. As to PKK fundraising in Europe and in Turkey, their methods also need to be checked out. Forced conscription: Yes, military service is obligatory in many countries. But setting up special checkpoints and abducting young people at them, demanding that every family provide one young man and taking a young woman if a young man isn’t available, and then staging armed raids like the one featured at the top of my story, is unusual, to say the least. Don’t such practices raise obvious questions about popular support for the YPG and its aims? Kurdish flight: From interviews with refugees, I drew the impression that an enormous number of Kurds do not want to be in YPG-ruled Rojava for political reasons. I quoted Fabrice Balanche correctly on the numbers who fled, but I inaccurately compressed his estimate into the same sentence as my broader observation. I acknowledge Balanche’s view that most of the refugees fled for economic reasons. He did not insist on a correction, but The Nation has made one. On the run-up to the battle of Kobani, my quotes of Judge Hussein are accurate. I covered the battle at the time and recall the PYD spokesman saying the YPG was defending the hinterlands. But the rapid ISIS advance and the low casualty figures didn’t add up. 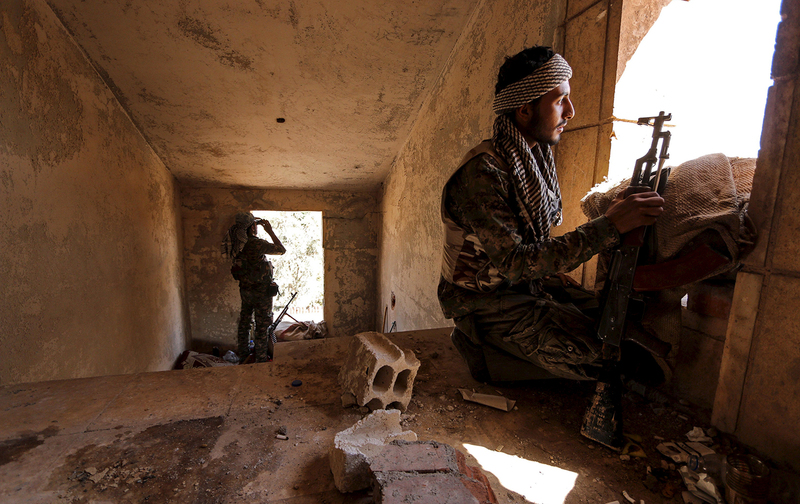 Was there a heroic battle before the one for Kobani itself? Where’s the evidence? Tax provides no source for her account.